John Calipari finally got the monkey off his back. His Wildcats won 38 games, undefeated in the SEC and then handled Kansas in the National Championship. Much of that was due to his freshmen class that included Player of the Year Anthony Davis, Michael Kidd-Gilchrist and Marquis Teague. Now all three are gone, including veterans Terrence Jones, Doron Lamb and Darius Miller. So, the Wildcats number two in the nation? Yes, because, as Calipari usually does, he reloaded. In comes yet another Top Five recruiting class. A number of under the radar bench players come in and take a bigger role. All that could mean a National Championship if Calipari has enough experience to win it, that is. Backcourt: Shooting guard Archie Goodwin could be the next big backcourt thing in Lexington. He has the moves to get open shots and also can shoot. He is more of a distributor then Marquis Teague and Doron Lamb. Starting alongside Goodwin in the backcourt could be Twany Beckham, a transfer from Mississippi State. A senior, Beckham shouldn't be a prolific scorer but he has more experience and smarts than Teague. Also sure to get big time minutes is another transfer, Ryan Harrow. Harrow is a sophomore with a lot of potential. He can be dangerous but he hasn't got the minutes to be that way in his fitst seasons. Junior Jarrod Polson provides a much needed backup to Harrow or Beckham. Brian Long nor Sam Malone got much chances to prove themselves but with the losses they should in their sophomore years. 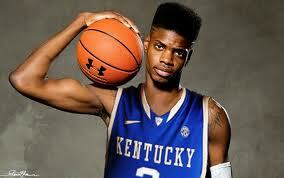 Frontcourt: As good as Anthony Davis was last season, freshman Nerlens Noel could be even better. Noel is a monster shot blocker, can rebound and will score also. He provides a huge presence at six feet, ten inches, that can hang with anyone in the nation. Calipari also brought in another dominant center in seven-footer Willie Cauley. Cauley may not start but he'll be Calipari's top bench option in the frontcourt. Yet another freshman should give the Wildcats a Kidd-Gilchrist role they had last year. That freshman is Alex Poythress who is athletic and has good size. He'll do damage inside and out and can also rebound. Poythress is a 5-star recruit who Calipari managed to sneak away from Vanderbilt and Florida. 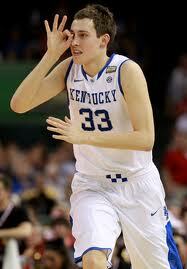 The unknown recruit of 2011, Kyle Wiltjer now has the minutes to do serious damage. He can hit shots from three and has the height to rebound along with the rest of this frontcourt. How good is Wiltjer? I have him as an easy All-SEC forward and maybe even an All-American possibility.